"Dolphinating" by Juan Felipe Herrera was offered by Poets.org's Poem-A-Day on March 11, 2014. A link to the poem, including the poet's notes, may be found here: http://www.poets.org/viewmedia.php/prmMID/23910. 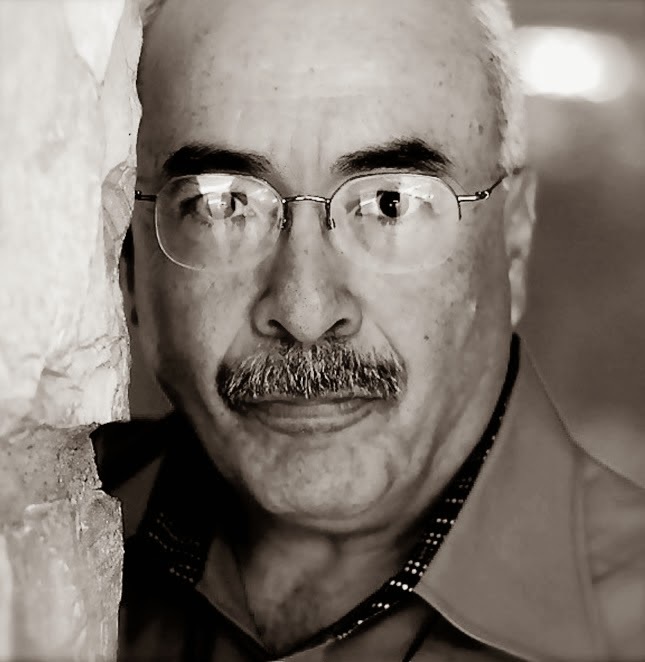 Juan Felipe Herrera (pictured) was born on December 27, 1948 in California, the son of migrant farm workers, a euphemism for illegal immigrants. This did not stop him from taking advantage of a free education in the California public school system. Upon graduation from San Diego High in 1967 at the age of nineteen, he received an Educational Opportunity Program (EOP) scholarship to UCLA, which is a euphemism for getting a free ride to a prestigious college at taxpayer expense simply for being a favored racial minority. It took him five years to earn a BA in Social Anthropology--not the most impressive of majors. It took him a further eight years to earn a Masters in Social Anthropology, this time from Stanford, and, no doubt, at further taxpayer expense. In 1990, at the age of forty-two, he earned an MFA from the prestigious University of Iowa's Writer's Workshop. So, largely thanks to what amounts to affirmative action, big government, and the American taxpayer, Herrera now holds the Tomas Rivera Endowed Chair in the Creative Writing Department of the University of California Riverside. He is also the Director of the Culver Center for the Arts in Riverside. He was named a Chancellor of the Academy of American Poets in 2011. He has numerous published books of poetry to his name. In addition, his work includes theater, video, photography, prose, and performance. All well and good. However, one wonders what many unknown and never-to-be known non-minority children could have achieved given his unbelievable race-based advantages. Additional biographical information about this poet's charmed life, as well as links to some of his other poems, may be found here: http://www.poets.org/poet.php/prmPID/1822?utm_source=PAD%3A+Dolphinating+by+Juan+Felipe+Herrera&utm_campaign=poemaday_031114&utm_medium=email. The poem is dedicated to poet Albert Goldbarth, and Herrera's live-in lover, the poet and performance artist Margarita Robles. Goldbarth is the author of numerous books of poetry and is currently the Adele Davis Distinguished Professor of Humanities at Wichita State University in Kansas. Additional biographical information about Goldbarth may be found here: http://www.poets.org/poet.php/prmPID/1295. I was reminded of the story The Emperor's New Clothes as I read "Dolphinating." The poem is aptly named, as a dolphin probably could have done an equal job of it. But it's by Herrera, so it must be a profound, deeply meaningful poem. And it better be, since the American taxpayer paid so dearly for Herrera's education. I'll do my best to make some sense of it. The title may refer to the playful life of dolphins, or to their cavorting behavior, or to their method of swimming. 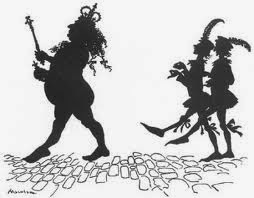 Metaphorically, the poet may mean that his poem is meant to have a playful quality. 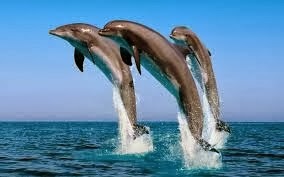 Or, perhaps it is a reference to reincarnation (see below)--to becoming a dolphin in another life. The poet uses the word "you" in the first stanza. The stanza is one, long, rambling query ending with a question mark. "You" may refer to the reader, Albert Goldbarth, or to "all of you." From the context, it is not entirely clear. The question asks if "you" are going to use the words of another poet. "Howl" is a nod to the famous poet Allen Ginsberg, whose work had an early influence on Herrera's. The second stanza begins with something that may mean that if the plagiarism proposed in the first stanza is performed, then the plagiarist's eventual reincarnation as a dolphin is in jeopardy. Later, Whitman (I can hear his barbaric EOP! ), Joplin, and Hendrix are evoked for reasons that are not entirely clear--perhaps just a bit of name dropping. The final stanza is a mishmash of more name dropping, references to bad weather, current events, and jellyfish--oh, how I feel their sting! Thanks, EOP and the American taxpayer! All hail the Emperor!